Fabuloso Multi-Purpose Cleaner leaves a fresh scent that lasts. The Lavender fragrance leaves an irresistible scent your family and guests will notice. It comes in a convenient, easy-pour bottle. This Fabuloso cleaner is easy to use, so there is no need to rinse, and it leaves no visible residue. Discover the long-lasting freshness of Fabuloso Multi-Purpose Cleaner that leaves your home shiny, clean, fresh, and fragrant. Instructions: . To Use:. Floors: Mix 1/4 cup in a gallon of water. Bathrooms & Walls: Use on sponge and clean. Due to formula difference, do not use Fabuloso® Multi-Purpose Pourable Liquid Cleaner as a refill for Fabuloso® Multi-Purpose Spray. This was my first time using Fabuloso, , and I tried it solely because of the reviews I've seen online. I used it yesterday to clean my kitchen and stove, and I was not disappointed one bit!! It is everything the reviewers say it is, and more. 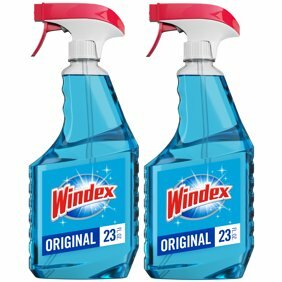 It has a very pleasant scent, and it is one great cleaner. It is as good as some of the nationally advertised household cleaners I've seen on television. I mixed mine with water and put it in a spray bottle, and it was very effective. It really does cut though grease and grime. I'm going to use it in the bathroom next, and I am certain that it will perform well. The 128 oz. bottle is a lot of product for a nominal price. It is indeed a great value. If you haven't tried it, you should. You will not be disappointed. 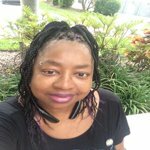 I do not live close to a Walmart but love shopping at them. I love this cleaner and now I can get it on line and not have to drive for 2 hours. Love on line shopping. Fabuloso! smells wonderful! I make sure to dilute it according to directions, and it makes the entire house/car/garage/etc smell wonderful! I wish it was a disinfectant, but for basic cleaning, and deodorizing really bad smells, you can't beat it! can be used on laundry? 2. I use it on my walls and it cleans them very good. Mix with hot water and use. 5. I have not used it as a spot treatment, but I am planning on using it for that purpose. 6. I would think a little wouldn't hurt but it's not meant to replace detergent. 7. I have used it in the laundry but don&#39;t use much of it. It suds up. 11. I HAVEN'T USED THIS ON LAUNDRY BUT DIRECTIONS ON THE BOTTLE TELL YOU ALL KIND OF WAYS TO CLEAN WITH IT. 12. 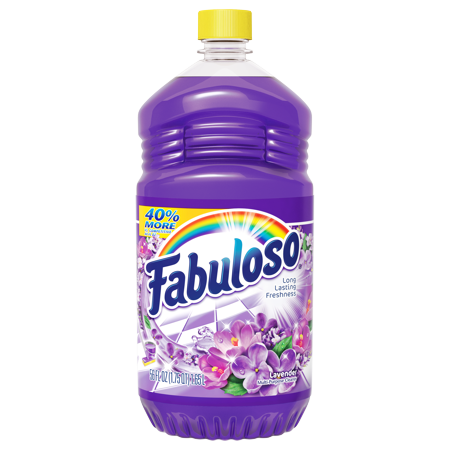 I would never use Fabuloso on my laundry, however upon Googling it I discovered it is highly recommended for that purpose. 3. I&rsquo;m not sure what your question is: but the product is amazing. I dilute it and use it to mop, clean my bathroom &amp; wash down my walls/cabinets. It is honestly a great product - if you&rsquo;re having second thoughts remove all doubt and give the product a try!!! 4. I use it on my tile walls in my bath room. I have not used it on any other walls because I have paneling. 5. Yes, this cleaner cleans even the worse floor grime. We use some old towels and spray some on the floor and clean it this way. I used it to wipe down my kitchen cabinets and it cleaned them very well. You can&#39;t go wrong. 8. Yes, you can use this on walls. Make sure your wall surfaces are able to withstand liquid cleaners. When deleted right does it have a overpowering smell? 2. I ALWAYS USE THIS PRODUCT WHEN YOU DILUTE THIS IT'S NOT GOING TO BE THAT STRONG THE SMELL AT ALL. YOU ADD THE AMOUNT OF WATER THAT YOU NEED TO ADD TO YOUR DESIRE SO IT WON'T BE THAT STRONG THE SMELL FOR YOU. 3. I like the smell of it and you can use it on almost anyting.